This knife I ordered few years ago and still to this day is sharp sturdy and the engraving is beautiful a great knife. Thanks BudK!! I have owned this knife for almost 4 years now and it is by far the best EDC I've owned. I am in Boy Scouts and bring this frequently on trips it has stood up to batoning, multiply drops on concrete with the bade opened, as well as odd cutting tasks.The thumb stud works flawless and the pocket clip is still holding strong. The blade has never chipped and I have only sharpened it once have yet to have a problem with it. My favorite assisted opener very quick and workable by thumb or finger stud. I like Point down clip carry on knife this fast. Also has safety for deep pocket carry. Excellent weight and balance and looks great. Would like a longer blade and one handed closing, but that would be asking too much. I have owned this knife for over a year. Not a problem. Its still fairly sharp with only minor maintenance on the blade. Yes, the paint has started to wear off but the mechanism and the screws are still fully functional. By far my favorite knife (that is until my friend in the National Guard took it to AIT in Georgia :/). 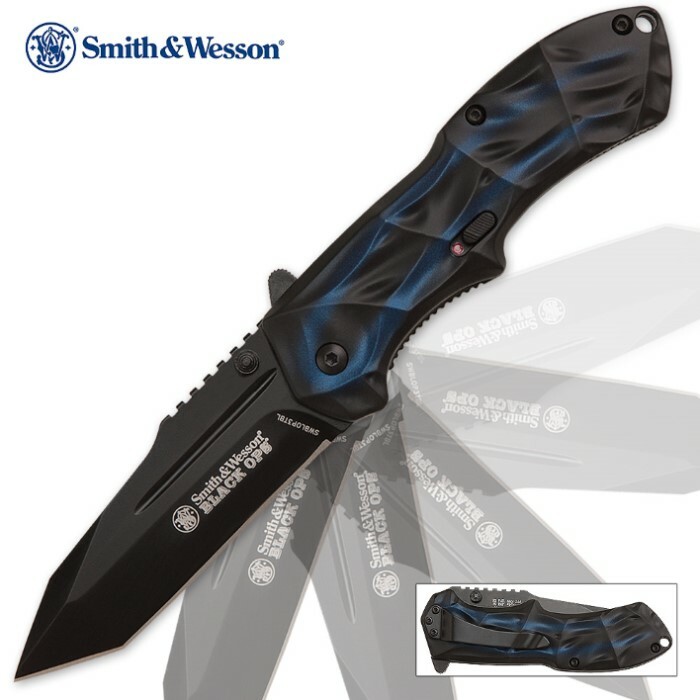 This S&W Black Ops knife is very functional, sharp and the assisted opening is great. My only complaint is the finish is not holding up well at all. I carry it every day and the finish is wearing down to the metal. The black blade scrathes very easy. Its a work knife, so the finish doesnt matter, but I have other knives I have carried for years and the finish is as good as the day I got them. 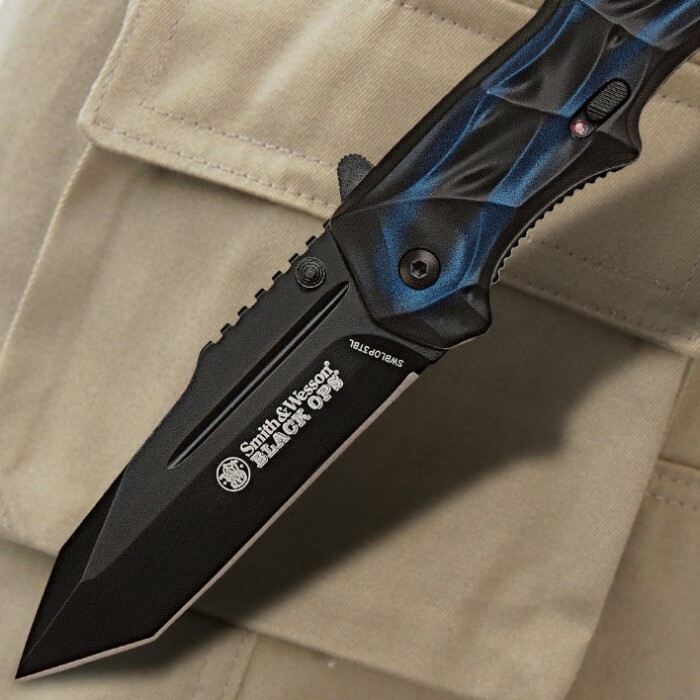 If you want the finish on your S&W Black Ops knife to last for years, do not carry it daily or use it. I like the S&W knife styles, but I will not purchase another one due to the weak finish on their knives. 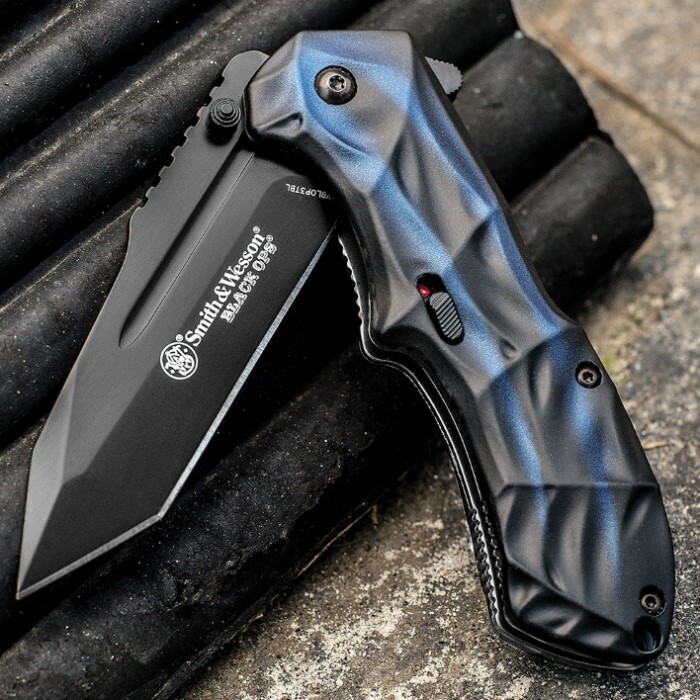 I LOVE these knives....I have them in light blue, dark blue, red and black. I have small but very strong hands, and these knives fit my hands nicely and react quickly when I flick my wrist.